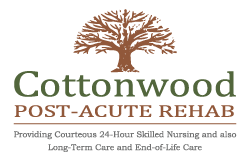 Our experienced rehabilitation team is committed to the quality of care for our residents. Patients are empowered through individualized programs to reach goals of increased independence and ability. Patient families are also encouraged to participate in therapy sessions, caregiver education, and training. Our occupational therapists use task directed activities in the treatment of our patients whose functional abilities and independence with activities of daily living have been impaired by illness, injury, or normal aging.Occupational therapy assists our patients in adapting to their social and physical environment by mastering tasks essential for daily living. Our occupational therapists may work with patients who have debilitating arthritic conditions or those with difficulty bathing, dressing, and other activities of daily living. They assist our patients with impaired vision and/or hearing to function well in their environment. 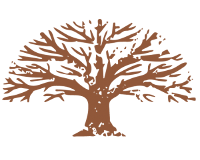 Our speech therapists provide a continuum of services including assessment, education, and treatment for language, voice, articulation, and fluency disorders. Our treatment programs are directed towards improving communication skills and safe swallowing. We assist in rehabilitating patients who struggle with comprehension, memory, processing, and expression abilities. We also instruct the patient or the caregiver in the techniques ranging from head positioning to promoting safe swallowing at a slower rate to clearer speech. We also teach patients how to compensate if they cannot be rehabilitated to their prior level of performance.Patients admitted to the facility that are receiving nutrition partially or exclusively via a gastrostomy tube are evaluated for their potential to return to solid foods.